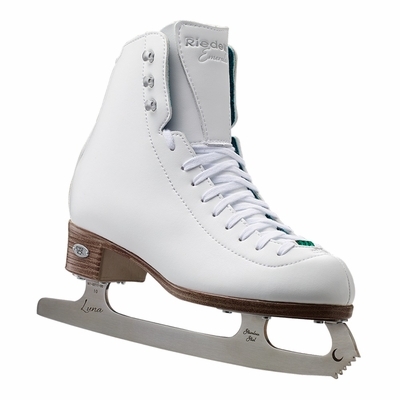 Get ready for fun with the Riedell 119 Emerald ice skate. Light support with double synthetic reinforcement. Leather tongue reinforcement adds protection and strength. PVC sole unit and Dri-Lex� lining keeps feet dry. Newly designed, padded Achilles Tendon collar gives added comfort. Features a faux emerald studded lace bar. The 119 Emerald set comes with the stainless steel Luna blade that provides great performance.